Some of my favorite ESSE reusable bags! Reusable bags have taken this area of Florida by storm. A few years ago there were numerous deals where you could get free bags from several different grocery stores and everywhere you looked you were encouraged to “Bring Your Bags” with you. The only downside was the shock I got when my 20 plastic bags worth of groceries only fit into 3-4 reusable bags! I soon got into the green groove and started taking my bags with me everywhere I went. And then my bags started taking over the inside of my trunk! I wouldn’t always take the time to fold them, my daughter liked to play with them which included carting them all over the house, and then they started to wear out and not be easy to fold neatly anymore. I started getting frustrated with the clutter inside my trunk and was unable to simply grab a bag or two when I went into the grocery store. 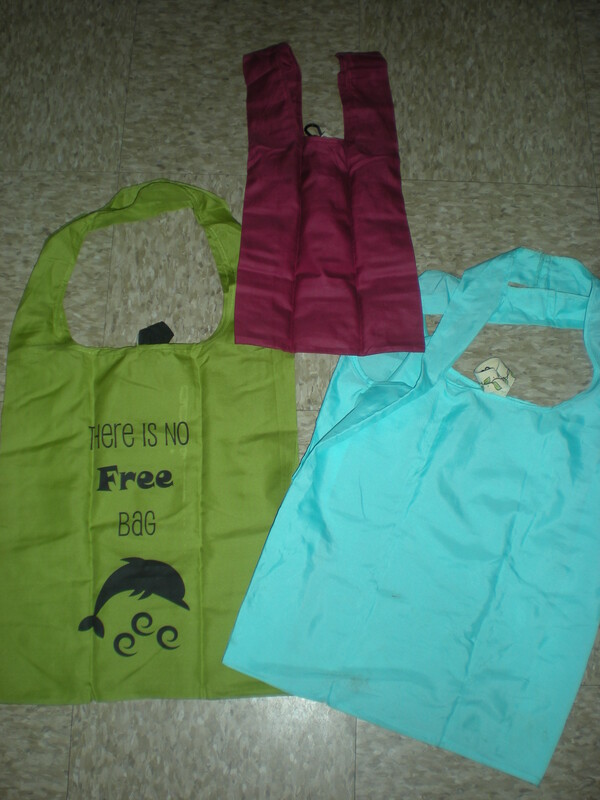 Then I discovered ESSE Reusable Bags! It stared out as a groupon deal and I was thrilled with the idea. I bought a set and I just loved it! The regular grocery bags folded neatly were easy to carry, the t-shirt/”plastic” bags were awesome for carrying around in your purse, and the produce bags were the best that I had ever used. I got compliments from almost every cashier and bagger and I just loved their simplicity and style. Imagine my dismay when less then a year later I discovered a rip in one of the seams! I quickly jotted off an email expressing my disappointment and within the hour I received a reply apologizing that it was a weakness in some of the bags. They offered to send whatever bag I wanted to replace it and they followed through because in less then a week I received a replacement plus a special mini-bag. I am so thrilled to use bags that not only help me keep plastic bags out of the landfill, but to support a small business with excellent customer service. I highly recommend ESSE Reusable bags to anyone who is looking for a step up from either plastic bags or regular reusable grocery bags.